Incredibly beautiful Virginia Bluebells showing pink buds and blue blossoms. 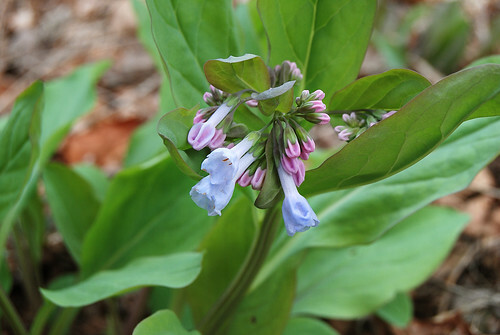 The first time I saw Virginia Bluebells I thought there was no way that a plant this beautiful could be a wildflower. It stands about a 18″ high, has spring green roundish 3″ leaves, but the best part is the flowers. True to its name it has clusters of little blue bells. However, over time the flowers change colors so you will see blue, purple, and pink all on the same individual plant. 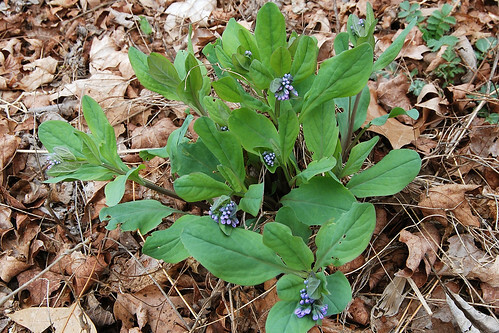 Virginia Bluebells are a fairly large spring ephemeral wildflower, growing to about 18 inches. 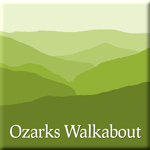 It’s a real treat to find large expanses of this plant in moist, rich woodlands. It’s a common cultivated plant, especially in cottage gardens. I love coming across an expanse of bluebells. It’s like magic.